What Is Boating While Intoxicated in New York? | Raw Law | Law Offices of Adam M. Thompson, P.C. Although many people associate the hustle and bustle of the Big Apple with the State of New York, many others remember New York for the miles and miles of beautiful waterways found throughout the state. In fact, there are over half a million boats registered in the State of New York. Boating enthusiasts could not ask for a more scenic and diverse area in which to enjoy the water. If you are one of the thousands of watercraft owners in the State of New York, it is imperative that you understand the state's boating while intoxicated laws to ensure both your safety and the safety of others on the water. Many people are unaware that "boating while intoxicated," or BWI, is a criminal offense, just as its dry land counterpart: driving while intoxicated (DWI). New York's BWI laws are very similar to the state's DWI laws. Navigation Law § 49-a(2)(b), for example, makes it a crime to operate a vessel with a blood-alcohol concentration, or BAC, of 0.08 percent or greater. If the vessel is a "public" vessel the per se BAC level cannot exceed 0.04 percent. In addition, and also like its dry land counterpart, New York makes it illegal to "operate a vessel upon the waters of the state while his ability to operate such vessel is impaired by the consumption of alcohol." In essence, this allows for the possibility of a conviction for BWI even if your BAC level was below 0.08 percent or if you refused to submit to the chemical test. For a first-time conviction of New York's BWI law you face up to a year in jail and up to a $500 fine. If you have a previous conviction for BWI, or a previous conviction for another alcohol or drug related driving offense, you could be charged with a felony and will face increased penalties if convicted. In addition, you could have your boat's registration suspended and your boating privileges suspended for six months or longer should you be convicted of boating while intoxicated in New York. 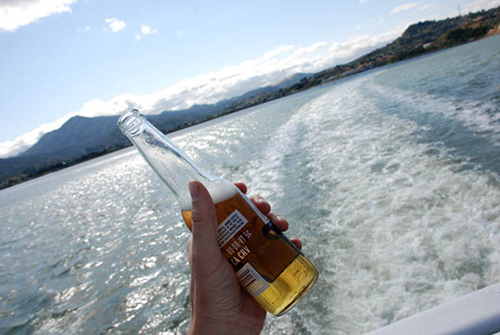 If you have been charged with boating while intoxicated in the State of New York it is in your best interest to consult with an experienced New York criminal defense attorney as soon as possible because a conviction for BWI could also carry a number of unwelcome non-judicial penalties and/or could be used to increase the penalties in a future DWI or BWI case.